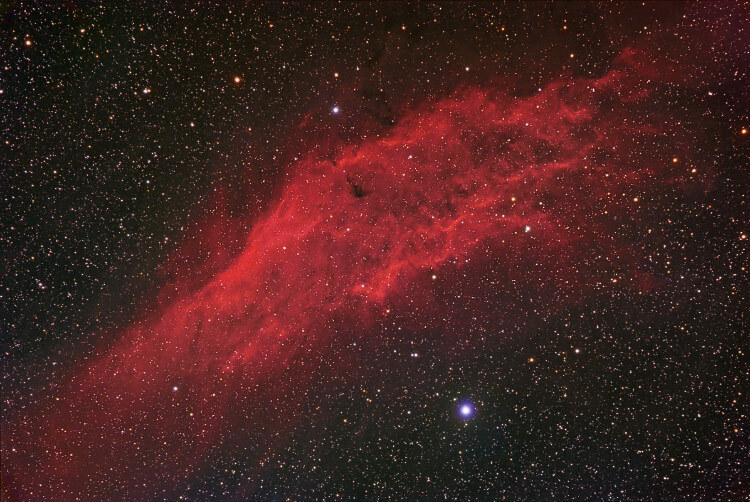 The California Nebula in Perseus is an extended complex H-II region named to its stately shape. 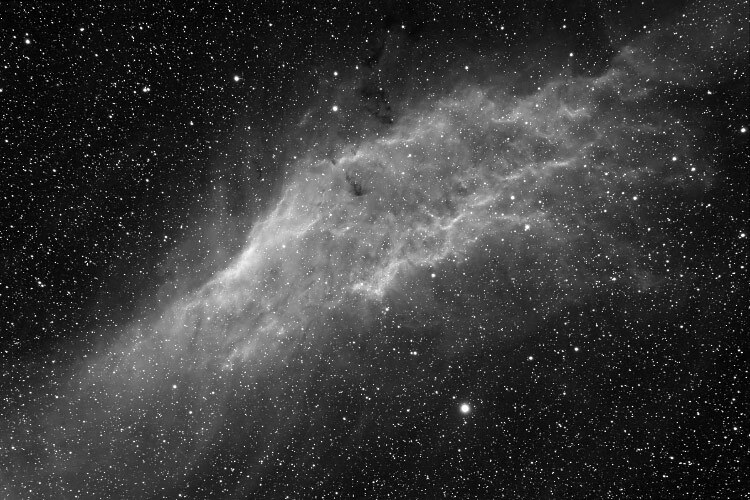 This nebula resides some 1000 light years away. The glowing portion of the nebula is around 100 light years in extent, it shows a lot of shock waves shaped from the stellar wind of hot stars. Below you see a pure H-alpha image.